Understanding grammar will help you on your way to foreign language fluency. 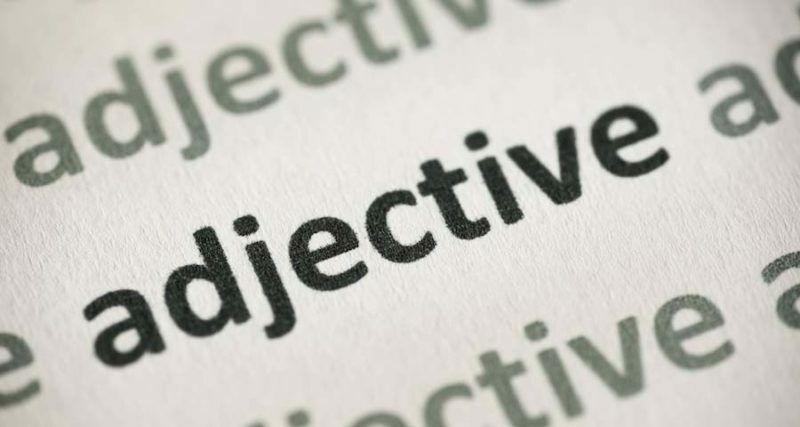 In English, adjectives are undeclined; they adjectives keep the same form in all situations, and do not take endings to show agreement in case, gender, and number with the noun they accompany. In the German language, adjectives are more complex because they can take many endings that differ according to the words they accompany. Declension for German adjectives based on case, gender, and whether the noun is plural or singular. Declension also varies based on whether the noun appears with a definite article, indefinite article, or no article at all. German adjectives describe or modify a noun. We covered that in the German adjectives lesson. As in English, however, there are two special classes of German adjectives called German comparative adjectives and German superlative adjectives. In this lesson, we’ll simply refer to them as German comparatives and German superlatives. German comparatives are adjectives that compare one object to another. German superlatives are adjectives that contrast one object as having the highest or the lowest degree among a group of objects. Comparative: Er ist größer als ich (He is taller than me). Superlative: Er ist der größte (He is the tallest). German superlative adjectives are also somewhat similar to their English counterparts. Most superlatives are formed by adding the suffix -ste. Adjectives ending in d, t, or any s-sound (such as -s, -ss, -sch, -z, or -ß) must have an e inserted before the -ste. In German, adjectives are words that describe or modify nouns, and as we already know, German nouns may be singular or plural, and masculine or feminine, German adjectives must always agree in quantity and gender with the nouns they modify, so it is recommendable that, during your first learning stages, you pay extreme attention to these small details that are usually overlooked. There are two types of descriptive adjectives in German: predicate and attribute. Predicate adjectives follow linking verbs like “to be” or “to remain.” They modify the subject and do not have a gendered ending. Attribute adjectives precede nouns or pronouns and take special endings determined by the gender, number, case and article of the nouns they modify. Most adjectives have a comparative and superlative form. In English, the adjectives “better” and “best” are the comparative and superlative forms of “good”. In German, comparatives and superlatives are formed similar to their counterparts in English. The comparative is formed by adding –er to the basic German adjective; the superlative is formed by adding –est. (Note that if the adjective ends in –e, then only –r and –st are added, respectively.) A table demonstrating German comparative and superlative adjective forms is provided below. As you may have noticed, some adjectives take an Umlaut in their comparative and superlative forms. Although there are no set rules that govern when this happens, a few common adjecitves that take Umlauts are provided below. As is English, there are many German adjecitves with irregular comparative and superlative forms. A summary of some of the more common examples is provided below.